​We designed Confluence to address the development of science identity among STEM majors. We feel it to be profoundly important that students from all walks of life hear the personal stories of scientists who have walked in their shoes and shared their struggles. This series of interviews features the voices of scientists in their own words, about their life, their work, their journey, and how all the different aspects of their experience came to inform their reality in its totality. Confluence is a series for all students who are continuously reflecting on their own journey through STEM, and the various ways in which they can impact the world in the future. Click on image for access to the full episode. Episode 1: Dr. John Grant – Dr. Grant is a geologist with the Smithsonian who works at the Center for Earth and Planetary Studies at the National Air and Space Museum. 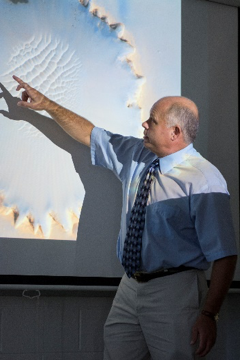 His work involves the planning of the missions that have explored Mars on multiple occasions. Dr. Grant shares his life journey and experience exploring the unknown in the first University of Rhode Island episode of Confluence. Episode 2: Catalina Martinez – Catalina Martinez is the regional program manager of the National Oceanic and Atmospheric Administration Office of Ocean Exploration and Research. 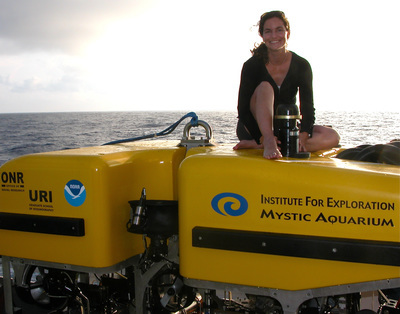 In this episode, Catalina talks about her unique journey into the ocean sciences, and how her life experience influenced her work to bring more underrepresented minorities into the field. Episode 3: Dr. Jessica Adefusika Olayanju - Dr. Olayanju is an Opthamology Resident and a graduate of the University of Rhode Island. 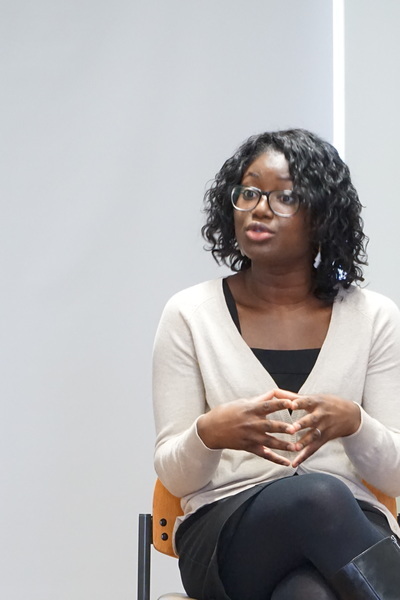 She shares with us here aspects of her journey from Nigeria to her current position.